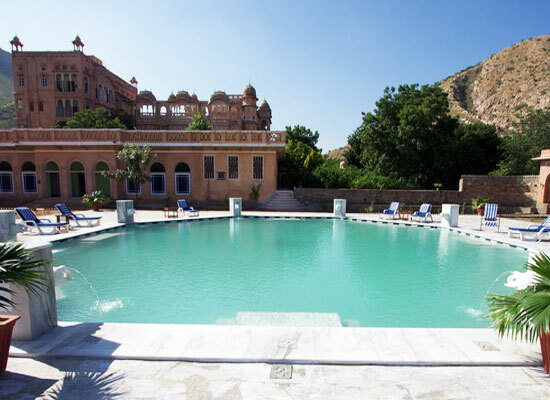 "Located at a distance of 70 miles north-eastwards of the city, Patan Mahal is one of the best budget heritage hotels near Jaipur. The property is placed at an interesting position as it lies in a valley, which is formed by three hills. Home to Rao Digvijay Singh, Patan Mahal was built after a few years of the 13th century fort, built by the royal family of Patan. Now a heritage hotel, it has spacious and airy rooms, which come with all kinds of modern facilities and amenities. The air-conditioned dining room serves sumptuous meals, prepared from freshest of ingredients. The old royal feel has been kept intact. The guests can enjoy wonderful views of the surroundings during their stay. 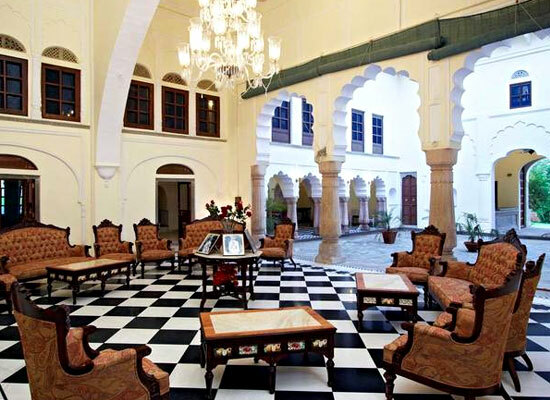 Built a few years after a 13th century fort and Badalgarh Mahal, located nearby, Patan Mahal is now a heritage hotel. 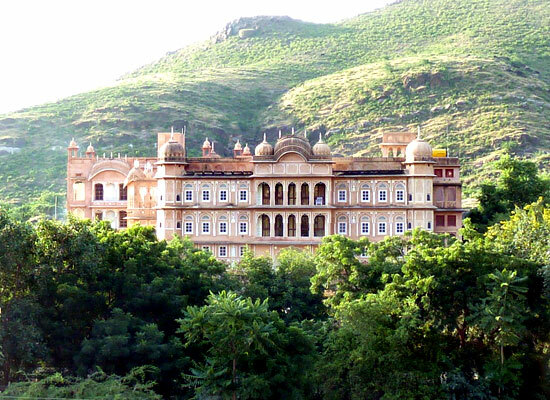 The palace, home to Rao Digvijay Singh, is positioned in a valley that is formed by three hills. In the year 2005, Digivijay Singh, the current head of the family decided to open his palace as a heritage hotel. During the next five years, he stayed here till the complete restoration of the family. Keeping its original character as it is, he added modern comforts. 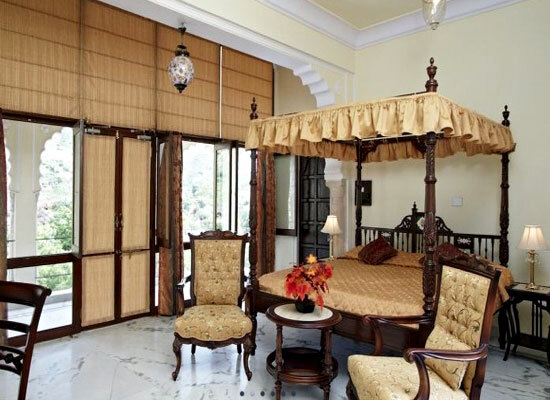 Patan Mahal, near Kotputli, comprises of a total of 18 rooms, extremely spacious and airy. The rooms are a combination of royal feel and contemporary comforts. Period furniture looks elegant. The wonderful paintings on the roofs and walls have been restored in a careful manner. Four-poster bed, rich furnishings, comfortable-king-size beds, writing desk with a chair, center table with chair/sofa, an attached bathroom with bathtub and complimentary toiletries. The color palette warm and soothing. The hotel features an air-conditioned dining room where the guests can savor finger-licking delicacies of Indian, and other popular world fares. The meals are prepared by using freshest of ingredients. The staff is very well-maintained and takes care of all your needs. The décor of the dining hall is simple yet pleasant. Picnic at the Badalgarh Mahal (optional). Sikar is a historical city of the Rajasthan state and is a part of Shekhawati region. Once the center of art, culture and wealth, Sikar today has a rich historical past. Gopinath temple, Raghunath temple and Madan- Mohan temple must be visited for their beautiful frescoes. 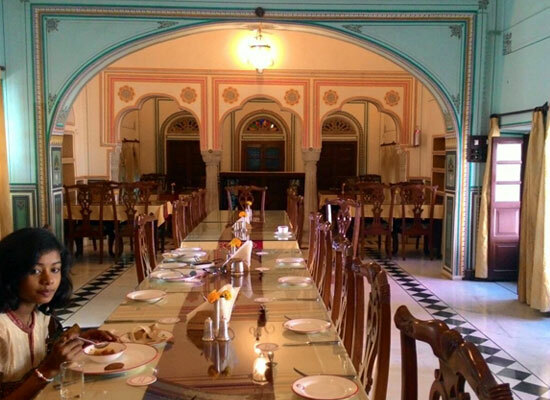 Do not miss other attractions of Sikar including Diwan Ji Ki Haveli, Sikar fort, Sagarmal Sodhani Haveli, and Biyani Haveli.